The storm looms, the Demons roar. 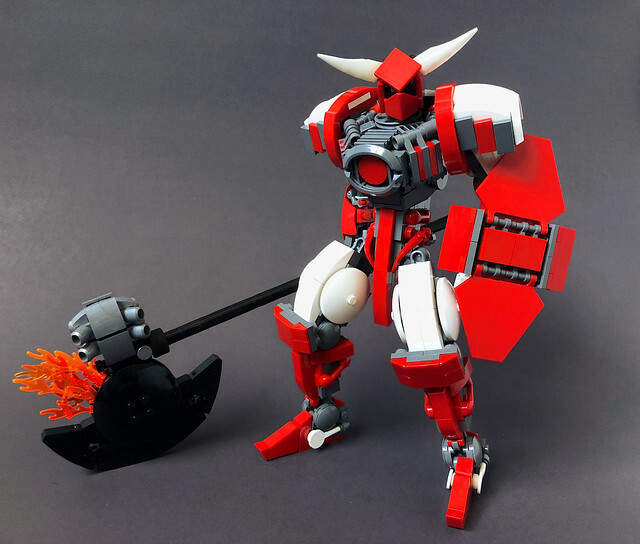 Inspired by the Getter Robo series and other Japanese mecha concepts. That’s awesome! Reminds me a lot of Reinhardt (which is a good thing). I love the axe, helmet, and shield! I like the detailing on that chest. @ToaNoah_Wafflemeister @UnJaguk @Leoxander Thanks! Glad you all like it. The fire on that axe looks so cool!! @Antroz2007 I believe you lol, thanks!